The Perfect Call Center Worker? Yes, hard to believe really, that this time next week, after 15 months (forgetting 2 weeks I want to forget), I will be a working woman again. Put it this way, I know its going to seem strange next Monday, going off to work again, especially as for one day, I will look the classy business woman, dressed in my black dress, though I’m pretty sure high heels will not be part of the outfit, unless someone wants to sponsor me for a large sum of money to do so? Especially if you were to offer it soon enough that I could actually afford a nice day out this week, before I get back to the grind. In truth, I’d love that, even if I dont really need anything new, or anything, but hey, I could cope with a day at cricket, or a day at the races, or something, if anyone wants to offer? Just not tomorrow though, but the rest of the week, I could manage. Why not tomorrow, I hear you ask? Simple, because I’m already booked up for the middle of the day. In truth, there are 2 things I really ought to get done before I go back to work, and one is getting my eyebrows trimmed/waxed, or whatever, and the other is getting my hair colored. I’m still working on whether I can afford to get my eyebrows done, on current finances (I think its going to have to happen, regardless), or not, but…Yes, fine, the hair really has to be done! It would have been due to be colored next month, regardless, but now it needs to happen sooner, just so I can look good when I start at work. Yes, thats Jean, suffering for her pride, from ‘Libeled Lady’. Cant say she looks like she’s enjoying it, but fine, I wouldnt mind suffering like that, just once. Of course, the other thing that always tickles my imagination at the hairdressers is the hair dryer. Yes, the resemblance to a brainwashing machine is just way too good for me, especially the ones where the visor drops down over your eyes, and… Fine, I’d love it if there was 2 optional settings, one just to dry your hair, the other that did that, and brainwashed you at the same time! Sadly, never happened yet, and I suspect, never will! Still, my new employers might appreciate the perfectly programmed call center worker, so if anyone knows how to arrange it, I’d love it to happen too! Or if someone just wants a perfectly programmed being, of any kind, then fine, I’d love that to happen as well! One thing is for sure, I’m going to have to change how much I do online, once I get back to work, thats for sure! How much, not sure, but I suspect a fair bit, but I will see on that. 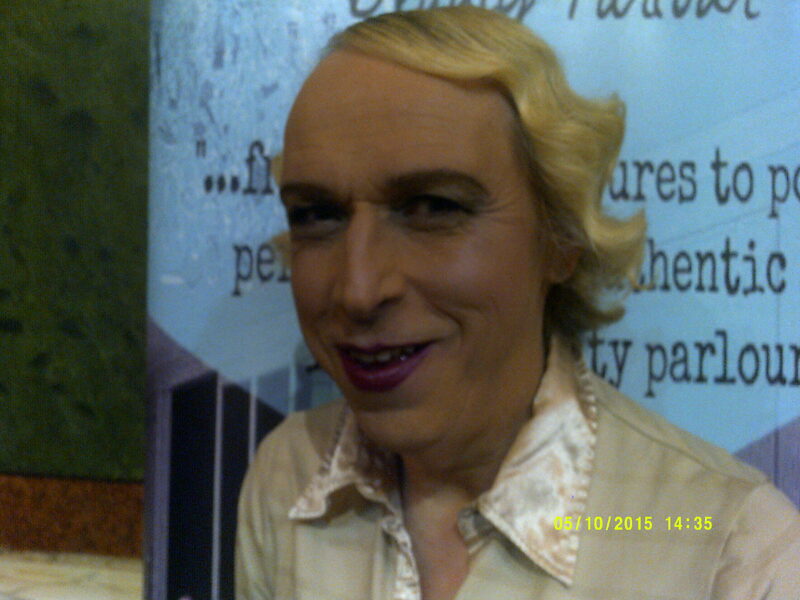 Author stevielounicksPosted on June 27, 2016 Categories Call Centres, Hair Colouring, Hair Curling, Jean Harlow, Nik Kershaw, WorkLeave a comment on The Perfect Call Center Worker? Earlier this week, I was honored to receive a magical reading from a wonderful woman, due to entering a competition at her wonderful website last month. For those who want to go and support her, or are just curious, that website is http://www.banditsranch.com/ . The contest (at time of writing) is still actually on her home page, though obviously its too late to enter now! Anyway, quite wisely, in my opinion, my angels want me to wipe my slate clean, and let them start again with me, probably wise words after the last year or so that I’ve had! Me, I’d quite literally like to wipe my slate clean, and start all over again, from scratch. I know, I wish, probably not possible, even though I would love it. 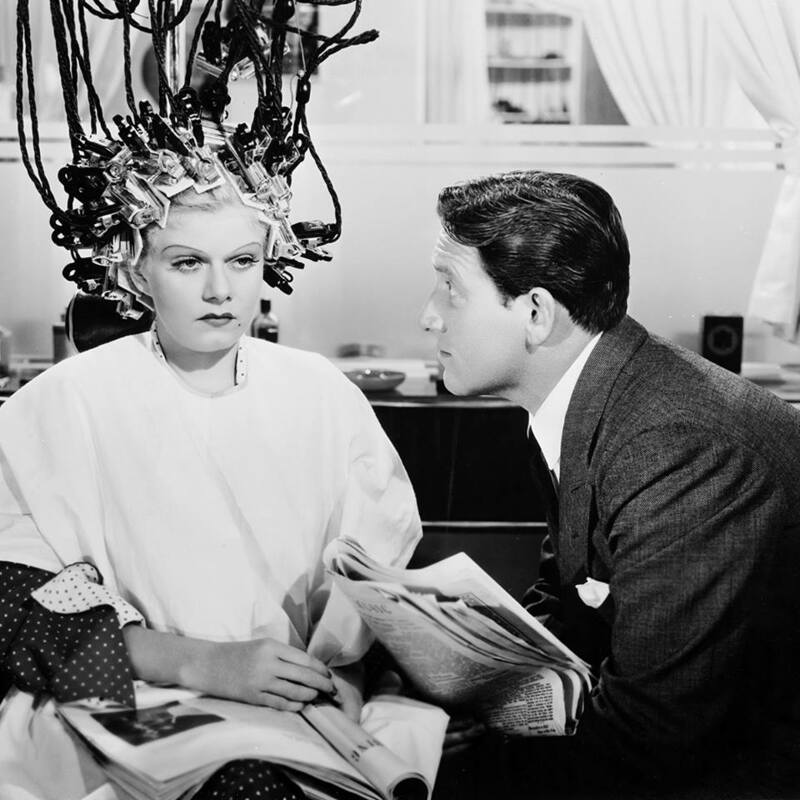 The other image I’m going to use tonight probably looks like a brainwashing device, but in fact, if you wanted your hair permed in the 1930’s, this was how it was done! 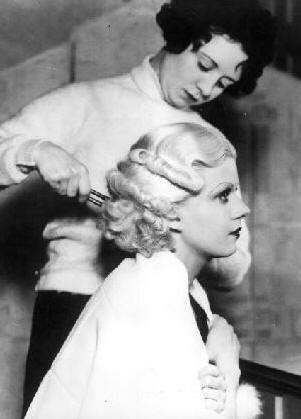 And yes, this 30’s girl would love to once, and almost certainly only once, love to have her hair curled like this! Fine, the equipment to literally do it like that, probably doesnt still exist, though I’m sure something similar could be done, by using modern heated curlers, I guess? If so, and someone fancies doing it to me, I’d love to know what it was like! Again, if anyone can help in any way, shout through comments, or something. Right, the video. Lets just say that if I was connected up to that first machine (please! ), I wouldnt be capable of doing this. Author stevielounicksPosted on May 12, 2016 Categories Brainwashing, Hair Curling, Hair style, Manhattan TransferLeave a comment on Too busy thinking? Now I’ll never know what their training methods were! OK, sadly it looks like I will never discover the training methods used at that place in Batley. I was meant to hear by yesterday at the latest, and still not heard a thing, ah well…I’ll have to settle for fantasies lol! At least it means “Jean” didnt get the job, and have the right to take over my mind, and body for herself lol! I really, really would love, one day, to do that as a role play at least. Reality, oh fine, but in practice, at present…But lets face it, if anyone was doing that for a shoot now, they’d probably want someone a lot younger, and prettier than me. But who knows? If someone wants a challenge though, the more realistic you can make it look, and feel, the better! Oh, fine, one more thing. Sunday, I went to the vintage fair at Leeds, did a little bit of shopping. 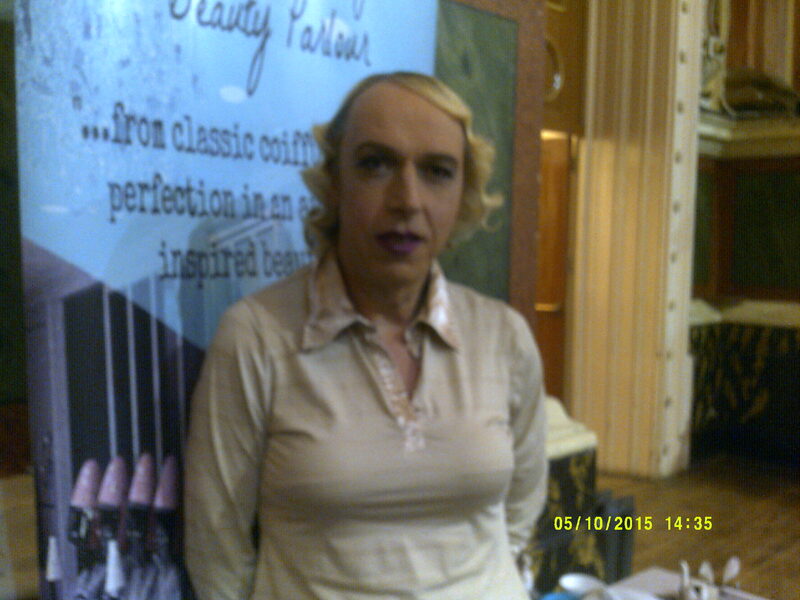 But of more interest to you, I had my hair curled into Marcel Waves, my make up, and eye lashes done for me. And just for you, a couple of photos! Author stevielounicksPosted on May 12, 2015 Categories Brainwashing, Hair Curling, Hair style, Leeds, Make upLeave a comment on Now I’ll never know what their training methods were! When you think about it, arent modern hairdressing methods wonderful? Safe colouring methods, relatively at least, clever curling tongs and the like, that given expert hands (and I put my hair in expert hands), makes it all look very simple, and safe. No, I have no desire to colour my own hair, I prefer to let someone who knows what they’re doing, do all that clever stuff. But, back in the good old days, things werent always as simple, take a look at some of these delights! 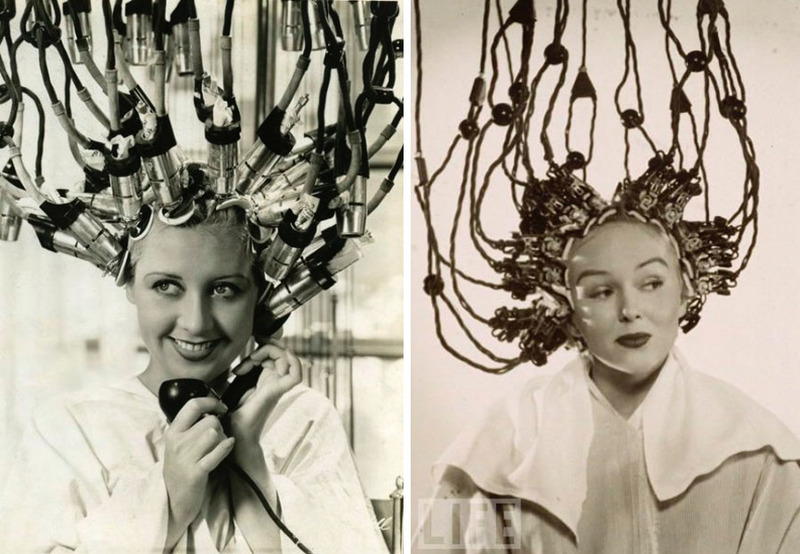 Some of those hair dryers, yes, fine, they really arent (apart from styling) that different from what we use today, but seriously, have you seen that interesting machine that was used to curl hair in the 20’s and 30’s! 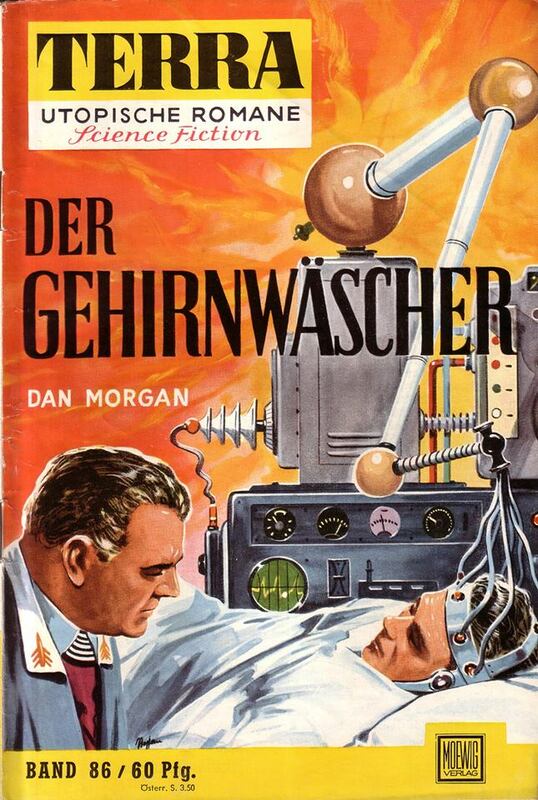 As is pointed out, one of those isnt actually a brain sucking machine, but it sure looks like one! Oh, alright, fine. Yes, they look awful, but would I give it a try, if I got the chance, of course I would. Hopefully it wouldnt brainwash me, but…a price worth paying, hmm? The snag for Jean was, even if modern colouring methods still rely on bleach, the stuff we use now is a lot safer than the stuff they used back then. Also, she had the hazard of having her hair coloured virtually every week (to keep the platinum blonde colour), whereas mine is only done about every 2 months or so. Therefore, reputedly, near the end, she had the problem that her hair was beginning to fall out, over use of bleach, wrecking her tresses. Of course, we never got to know what the outcome would have been, given her tragically short life. So, however much of a 30’s girl I might like to be, I might be grateful that we use more modern, and seemingly safer ways of colouring, and curling our hair now.